2011 has been a crazy busy year for you. More and more rappers appeared everyday and fewer and fewer were actually worth listening to. It's hard to keep up with you I admit, but I'm doing my best to stay up to date with how you've changed for the better. I still yearn for that golden era 90's sound though and can't stand this new obsession with swag rap that devalues putting history or substance into beats and rhymes. But luckily you've been blessed with some new MC's and producers with real skill who are keeping your authenticity and raw energy alive. I'm talking about one MC and one producer, a new duo by the names of Rashad & Confidence. 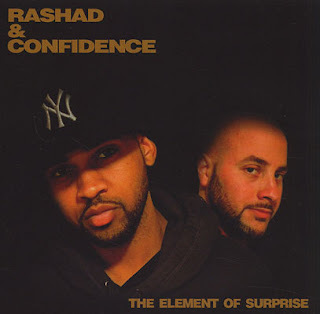 Rashad & Confidence's debut album "The Element Of Surprise" was appropriately titled as they both seemingly came out of nowhere with a polished product that, after careful consideration, I believe will prove to be a timeless piece of hip hop artistry. Confidence crafts his beats from soulful samples re-envisioning the smooth yet gritty sound that was often found in the golden era of hip hop. 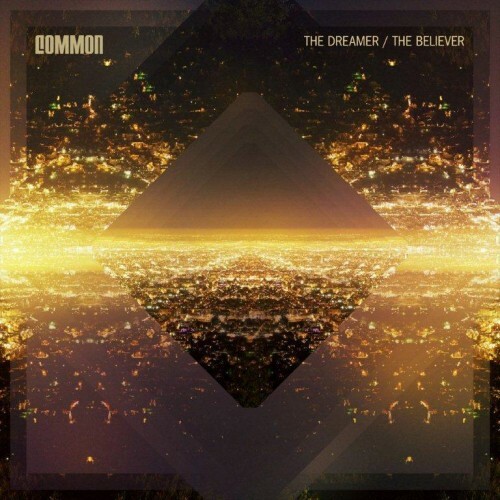 Confidence produces the entirety of the album enabling him to create a consistent sound as the glue that holds the entire album together while Rashad puts the icing on the cake with his effortlessly watery flow. Rashad brings his mic skills as an extremely well-rounded artist spitting substance and dropping knowledge all throughout the album. He paints a picture with words on topics ranging from the political, to love, the past, and the never-ending quest for hip hop mastery. This is an album I can listen to from front to back and then repeat it over and over again, always with something new to appreciate every time. In his own words, Rashad describes his and Con's work together as "something golden-era esque, but still futures ahead". When asked about why this specific time period influenced their work, Rashad answered: “Hip-Hop’s golden era was important because of the sound and the emotion that was put into the music. Hip-Hop during that time had a certain type of energy. 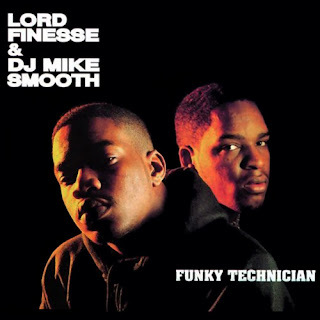 It was more organic and raw back then.” They even paid homage with their album cover, recreating the 1990 album cover from "Funky Technician" by Lord Finesse & DJ Mike Smooth (In case you were wondering why it looked kind of budget). All in all, the album is ridiculously well put together. 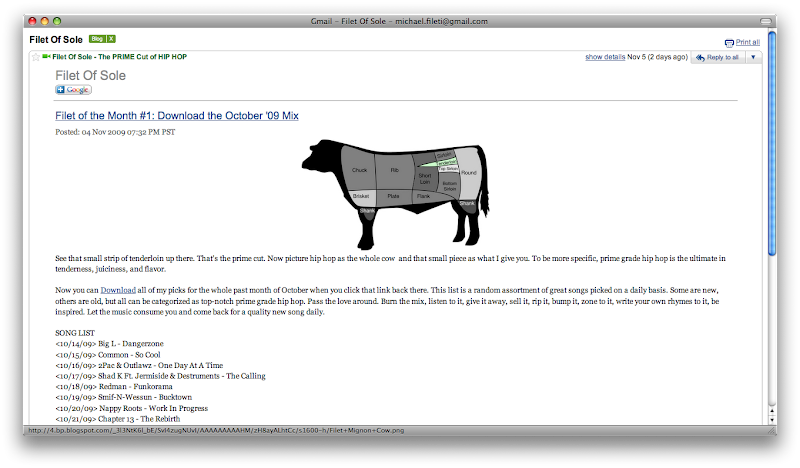 There are very few discs that I own that I actually want to listen to every track, but this is certainly one of them. If you can't get enough of that 90's sound and like your hip hop with some substance, please support one of the next great MC / producer duo's in hip hop who are now joining the likes of The Left, my pick for 2010's Hip Hop Album Of The Year "Gas Mask".